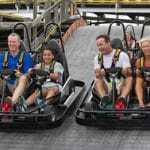 The Pigeon Forge Track is your family headquarters for thrilling go-karting fun. 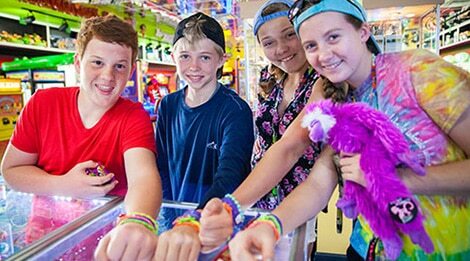 This action-packed, family recreation center features exciting amusements, including the ultimate in go-kart tracks—the Wild Woody, a three-tiered go-kart/roller coaster hybrid. 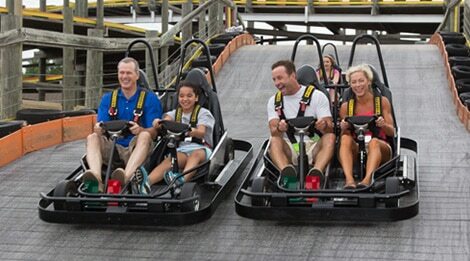 Race your kart around our large figure-eight-style track. 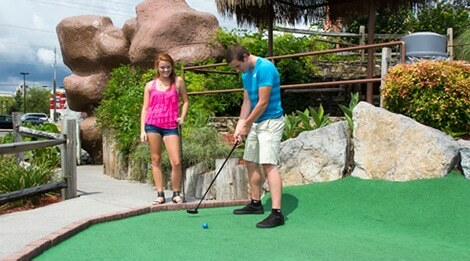 Challenge your family and friends to a competitive game of themed miniature golf. Splash ‘em in blaster boats. 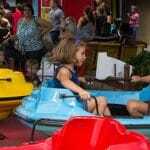 And smash ‘em in bumper cars. 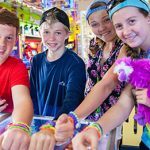 Test your courage from the top of the bungee jumping tower. 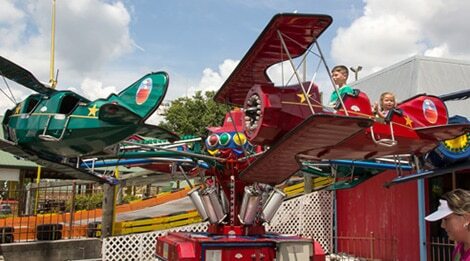 Or enjoy the thrill of skydiving on the SkyFlyer. 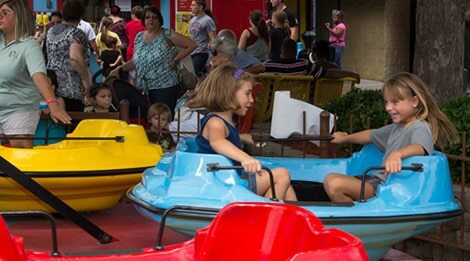 Younger kids can have a blast at Kids Country, featuring two smaller go-kart tracks—Kiddie Karts and Rookie Karts. 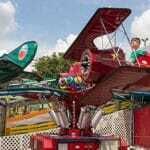 They’ll also love getting on board the Rio Grande Train, taking a spin on the Carousel, flying on the Red Baron Plane ride, sailing on Noah’s Lark Swinging Boat, plus a whole lot more.